Can Windows still be top dog in the post-PC era? Rumours of Windows' demise have been somewhat exaggerated: 90 days in, Windows 8 sales are 'on par' with Windows 7. Those aren't the numbers you're looking for. These are: $429/£273. That's the average selling price (ASP) of a Windows laptop in the last quarter of 2012, according to the NPD Group. Windows is selling, but it's largely selling on crappy hardware. Despite Microsoft's desire to sell Windows on touchscreen devices, which have a much higher selling price, the ASP only increased by $2. That's largely because only 4.5% of sales were touchscreen PCs. Meanwhile Apple's notebook ASP went up by $100, and it currently sits at $1,419 (around £897). We all know how this works: Apple gets the luxury market and Windows gets the rest. Unfortunately for Microsoft, the luxury market isn't the only place where Windows is under attack. Remember Steve Jobs' predictions about a post-PC era? We're in it. Windows faces several simultaneous threats. The first is that the PC market is in terminal decline. Notebook sales are down 11% year on year, and as NPD told Business Insider, "Windows notebook sales were going down all year. This isn't new. This isn't an acceleration. This is in line with what's going on. It's not any worse, or any better." The second threat is the tablet. iPads and their Android and other OS-run cousins are selling in serious numbers now, and while every quarter shows another decline in PC shipments, tablet sales continue to rocket. Apple did 22.86 million iPads in the last quarter, nearly 50% up on the previous year, and Samsung did just under 8 million. That's still short of Windows 8's average sales of 19.4 million copies per month, but it's clear that the gap is closing. And that's before you include smartphone sales, which are expected to hit 1 billion annually by 2016. ASamsung Galaxy S3 might not look like a PC, but it's being used for many of the everyday tasks you used to use your PC for. The third threat is the Chromebook. Sure, $429/£273 for a PC doesn't sound like much, but it's positively extravagant compared to the cost of a Chromebook. Acer's Chromebook has a full price of just $199.99/£199.99, and even HP's 14-incher is just $329.99 (around £209). Samsung's $249/£229 Series 3 Chromebook was a Christmas holiday hit, and Lenovo is coming to the Chromebook party too. A Chromebook may not be an adequate substitute for a Surface Pro, but how many of us really need something that powerful - or that expensive? Institutional customers certainly don't: that's why Lenovo is targeting high volume customers with its ThinkPad X131e Chromebook. Taken together, that means Windows is being attacked on three fronts. Apple's annexed the high end market, where the big profit margins are. Chromebooks are coming for the low end market and the high volume customers. And mobile devices are coming for everything else. Where does that leave Windows? It's beginning to look like the netbook was a terrible mistake. Intel wanted to sell lots of processors, OEMs wanted to sell lots of computers, and Microsoft panicked that the netbook was a Trojan Horse that would finally deliver The Year of Desktop Linux. The result? An avalanche of really crappy Windows PCs. As Paul Thurrott of Windows IT Pro reports, "In a privately distributed report, NPD concludes that 'netbooks did an incalculable amount of damage to the PC market,' driving average selling prices down at an unsustainable rate." That's why Microsoft is so keen on touchscreen. 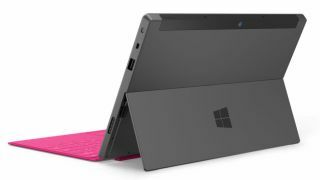 While it seems many of us won't pay much for a Windows PC, we will pay more for a tablet: the average selling price of a tablet is around $650 (around £410). The question is, will we pay that for a Windows tablet? Thurrott says: "Years of relying on cheap netbook sales to bolster the shaky PC market have coloured our perception of both Windows and the hardware on which it runs."